Yvonne Coburn is an experienced human resources professional with a background in the delivery of leadership programs designed to achieve cultural transformation for client organisations. 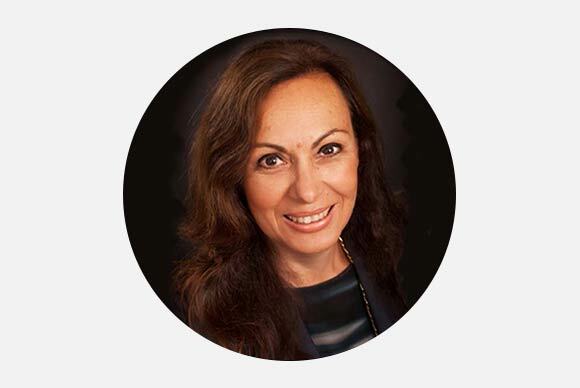 Most recently, and relevantly, Yvonne has worked as a Feedback Facilitator at Mt Eliza Executive Education, Melbourne Business School, in Leadership and Management (with particular emphasis on applied leadership in the workplace). Clients at Mt Eliza have included a wide range of top companies from Australia, New Zealand and neighbouring Asian countries such as Malaysia, Singapore and Indonesia. Yvonne has also provided executive coaching at leadership programs for Leadership Victoria, an organisation that provides leadership consulting services to the government, semi government and not for profit sectors in Australia. She was instrumental in the development of the Women in Leadership Program and recently coached and presented on the pilot program held in mid June 2015. Yvonne’s varied career experience qualifies her with a deep understanding of a range of industry sectors. That experience has included a period as a lawyer in private practice, a senior manager in human resources for a large law firm (now Herbert Smith Freehills), a period as a consultant with Morgan & Banks, a founder of Crowe Legal (a recruitment firm), experience as an Executive Search Consultant with A T Kearney & Associates, working as an executive and later advisory board member of search and leadership consulting firm Emissary Partners, service on a number of charity and pro bono boards including school boards (for example, Moriah College and Woodleigh School), and service as an elected Councillor on Waverley Council in Sydney. She was also an Ambassador for the NFP Fitted for Work, assisting women back into the workforce after a period of absence.Yvonne was a regular contributor for a few years to the Australian Newspaper with her column called “Legal Affairs”. She regularly commented on gender related issues in management and leadership. In addition to her accreditation in the products and services of the CreatingWE Institute (including Conversational Intelligence), Yvonne is also accredited to deliver a range of psychometric instruments. These include MBTI, FIRO B, Benchmarks/Skillscope 360 Learning by Design, Genos Emotional Intelligence, Management Research Group Leadership Effectiveness Analysis and Strategic Leadership Management, and the I4 About My Brain Instrument. Yvonne brings to any program her warmth, energy and enthusiasm for engagement with others, and a deep desire to assist individuals to advance their performance and their careers. Yvonne’s company, YAC Consulting Pty Ltd, operates the CreatingWE Institute Australia and New Zealand.